Warren Buffett, a billionaire investor and the CEO of Berkshire Hathaway took a swipe at Bitcoin again by calling the digital asset a delusion, as reported by CNBC on Feb. 25. Buffett has a history of bashing Bitcoin every time he gets a chance to do so. However, this time he also said he was sympathetic for those invested in the nascent crypto market. At this rate, it doesn’t seem that Buffett will warm up to Bitcoin or altcoins any time soon. Bitcoin has lost more than 80 percent since reaching its all-time high of more than $19,000 in December 2017. Bitcoin is currently trading around $3,891, according to CoinMarketCap data. Buffett went as far as saying that the world’s original digital asset attracts charlatans. “If you do something phony by going out and selling yo-yos or something, there’s no money in it — but when you get into Wall Street, there’s huge money,” said the long-time investor. He took the route of several Bitcoin critics who see the potential in the blockchain, the technology that underpins cryptocurrencies such as Bitcoin. He pointed out that blockchain technology is important, but its success has nothing to do with Bitcoin. 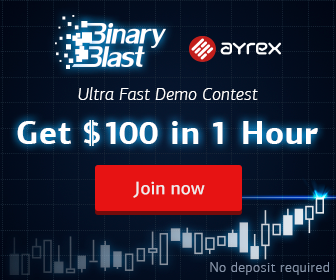 Cryptocurrencies, particularly Bitcoin, are the world’s first and most successful application of blockchain technology whose enthusiasts tout it as a transparent, write-once, and tamper-proof distributed ledger that eliminates the need for third intermediaries when exchanging value. Buffett is not a lone ranger in criticizing Bitcoin, and neither has he just started now. There are numerous business leaders, economists, and even fund managers who still question Bitcoin’s legitimacy and credibility. “In terms of cryptocurrencies, generally, I can say with almost certainty that they will come to a bad ending,” he said. He frequently compares Bitcoin to the Dutch Tulips mania of the seventeenth century in which the prices of some bulbs and tulips reached an unsustainable high price and dramatically crashed. While Bitcoin has seen its fair share of busts and booms, the young industry is beginning to attract the attention of major Wall Street players who are either developing crypto products or doing something close. Early this month, JP Morgan Chase, one of the largest banks in the United States launched its own native cryptocurrency for cross-border payments. Surprisingly though, the CEO of the bank, Jamie Dimon has a history of bashing Bitcoin. 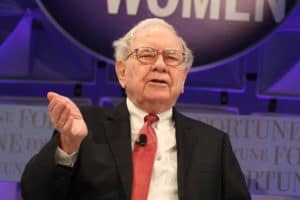 Unrepented Warren Buffet Calls Bitcoin a Delusion That Attracts Charlatans was originally found on copy trading cryptocurrency | Blockchain News | Bitcoin News | blokt.com.